Yesterday I had the opportunity to test the brand new SEAT Ibiza, a car which is bigger, more connected and five-door only. It’s a sharp looking motor that looks like a Leon has been shrunk, which is by no means a bad thing. 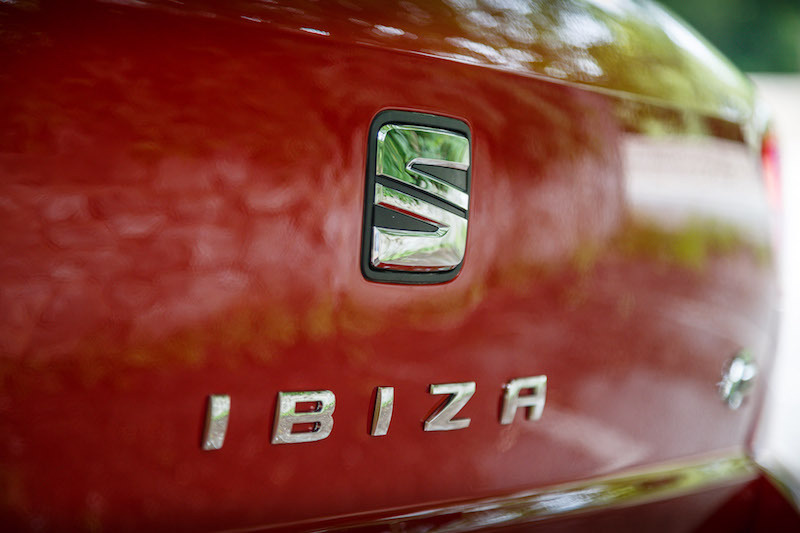 The new model marks the fifth generation of the Ibiza and it’s the first car to be built on VAG’s new MQB A0 platform. What does this mean? 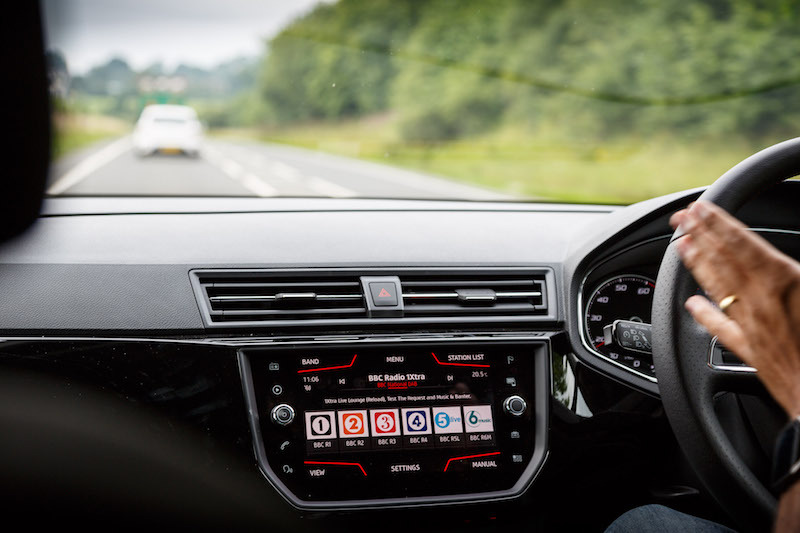 Well, it means that the new car should be quieter and more refined, but what’s it like to actually drive? 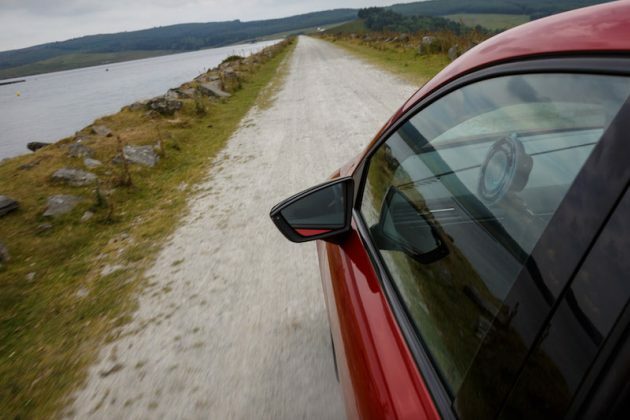 I drove both the FR and SE models around North Wales to find out. What Equipment Can I Expect? 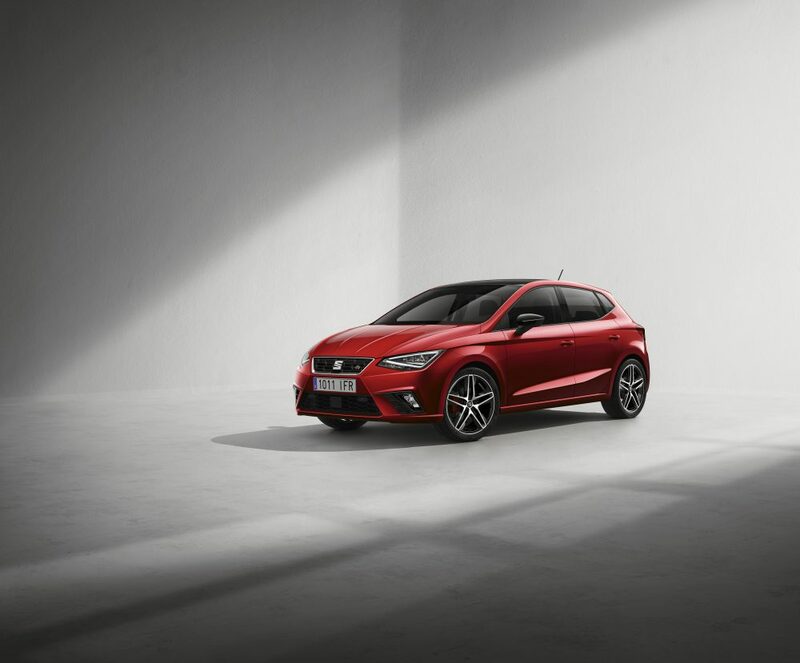 The new Ibiza comes in four trims; S, SE, FR and XCELLENCE, the new top-of-the-range model for Ibiza. 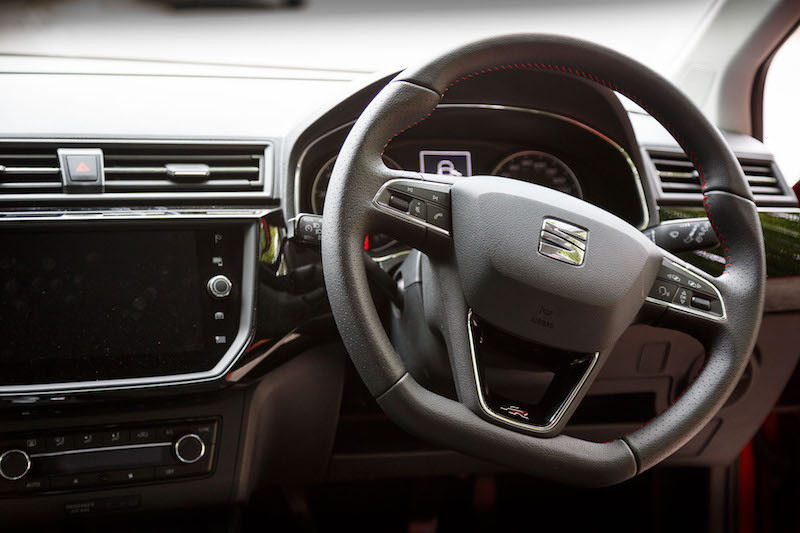 The S will start from £13,130 and comes with Bluetooth, 5″ black and white touchscreen, front electric windows, front assist, air conditioning and automatic headlights. 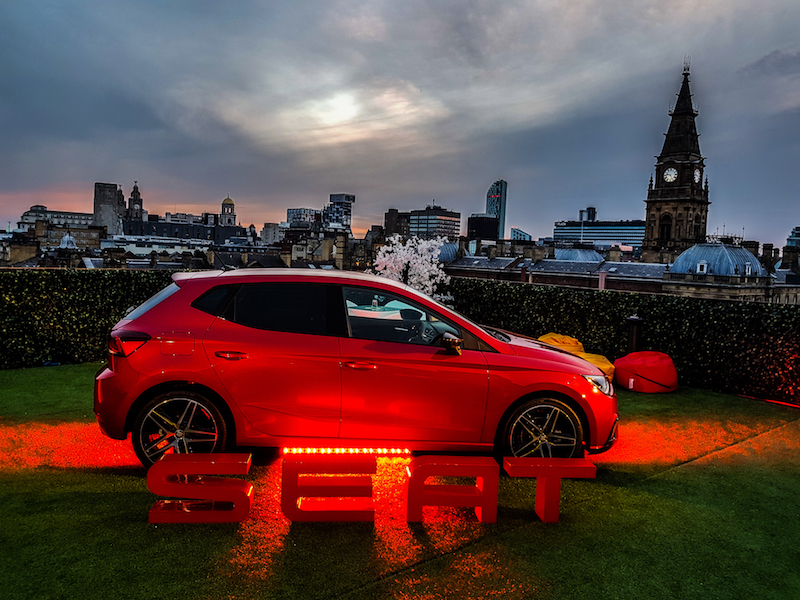 The SE model priced from £14,000, adds 15″ alloys, front fog lights with cornering function, 5″ colour touchscreen, leather steering wheel and 60/40 seats. 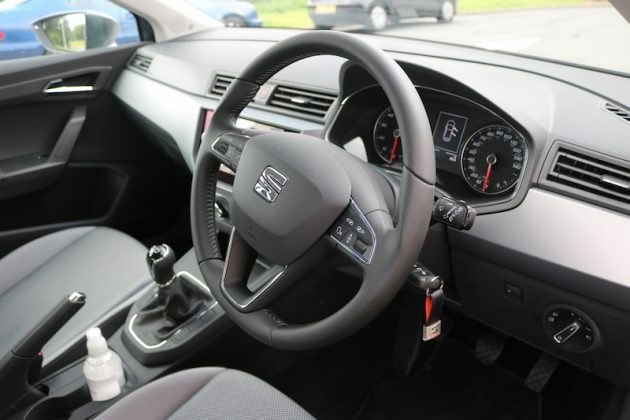 Surprisingly though, DAB radio is an optional extra. 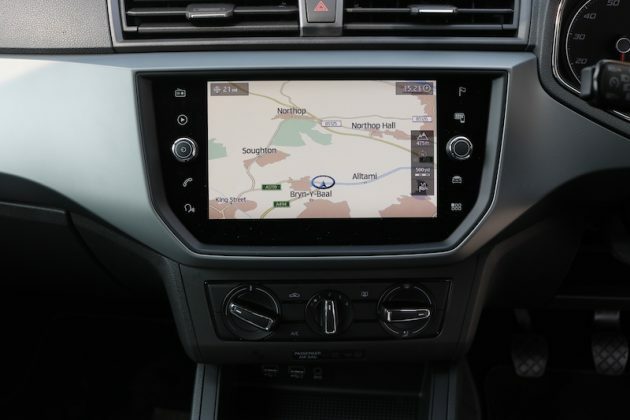 The SE normally comes with the 5″ touchscreen, this model had the bigger unit as an optional extra. 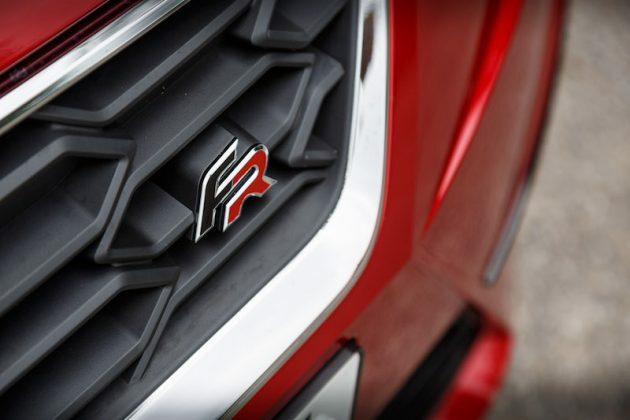 The sportier FR is priced from £16,015, which includes 17″ alloys, FR styling, smartphone connectivity, DAB radio, automatic lights and wipers, sports suspension cruise control, tiredness recognition, auto dimming rear view mirror, mulitcolour ambient mood lighting and coming & leaving home headlight function, and driving modes. 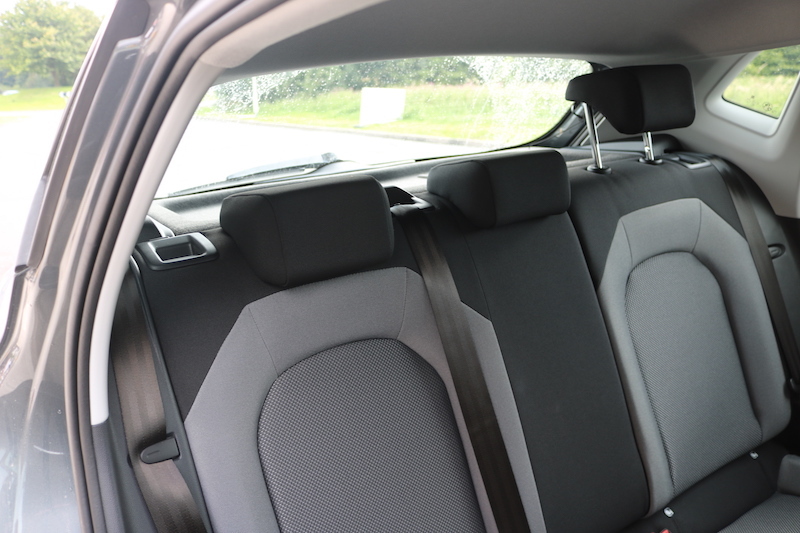 Rather unbelievably though, there are wind down windows in the rear, which is surprising given the car’s cost. The 8″ touchscreen looks slick and it’s nice to use. 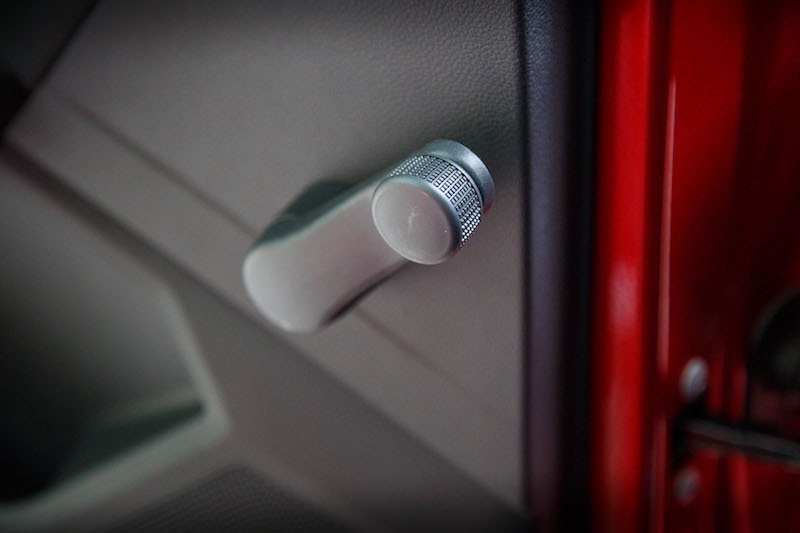 The range-topping XCELLENCE will cost you at least £16,715 and includes 16″ machined alloy wheels, tinted rear windows, keyless entry, alcantara/leather seats, dual-zone climate control, front and rear parking sensors plus rear facing camera. 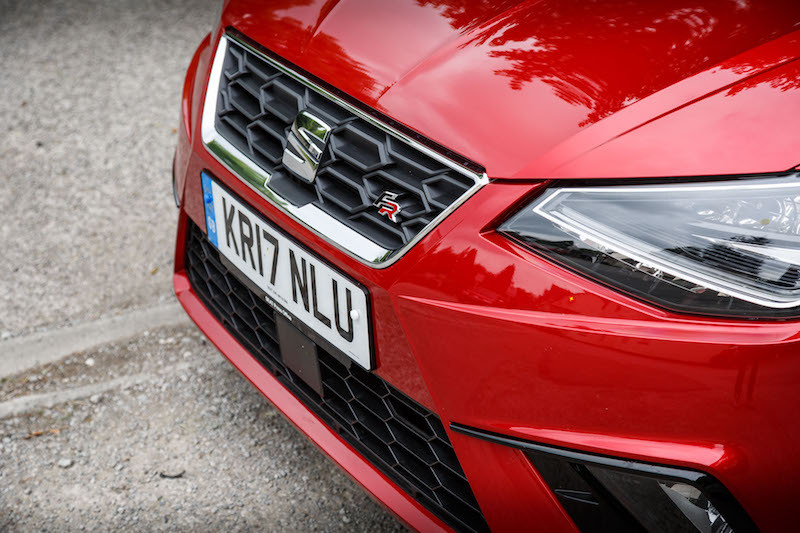 I started the day in a Desire Red FR, which is the sporty model of the range and will now serve as the hottest variant of the Ibiza, now that the Cupra appears to be dead until further notice. 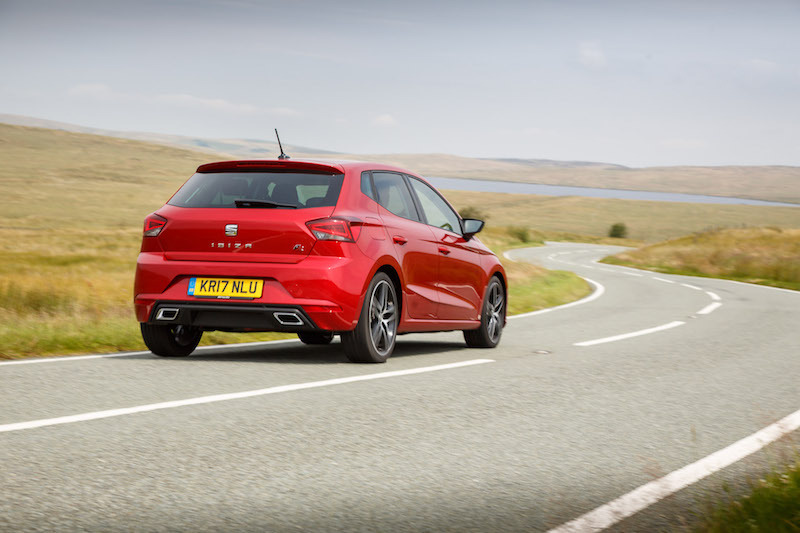 As always, it provides a subtle but sporty look, although the fake double exhausts are somewhat dissatisfying. 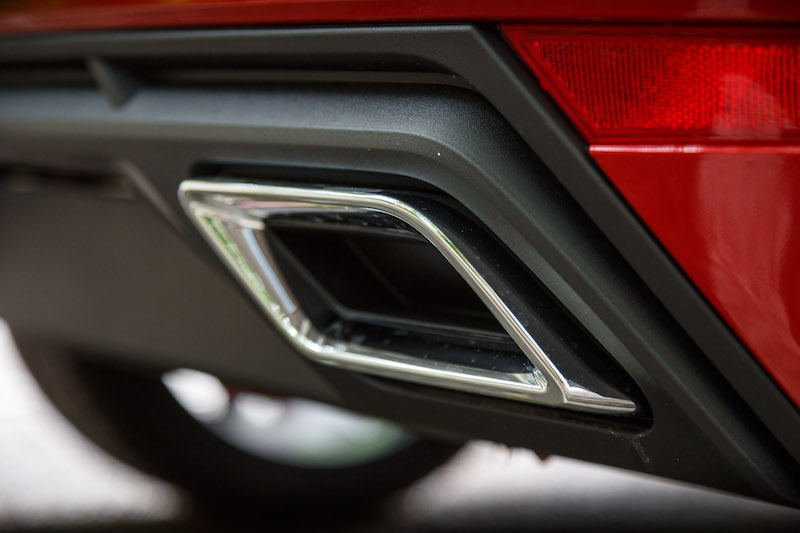 The real exhaust pipe lies underneath the car, out of sight. Other than that, you have a Leon-esque body that looks as sharp as a surgeon’s scalpel. 17″ wheels are normally fitted, but the model tested was riding on the optional 18s, which are the best looking if you ask me. 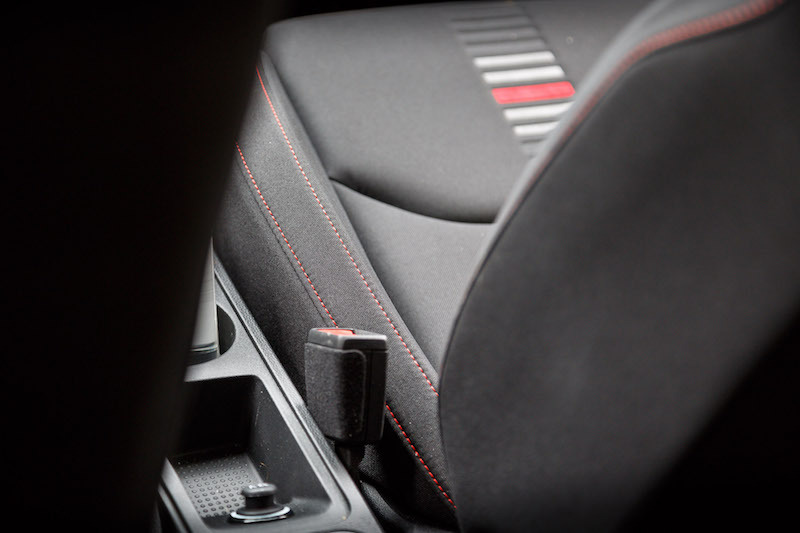 Inside you get fabric sports seats as well as flat-bottomed steering wheel trimmed in perforated leather with red stitching and an FR logo at the bottom. The dashboard features gloss black trim, which is nice, although it’s bound to attract dust and fingerprints. Other than that, the inside is a nice place to be – there are quite a few plastics to be found, but they feel well made and they’re not rough or scratchy. So far, so good then. I’ll admit, on paper the FR doesn’t look to be particularly promising. 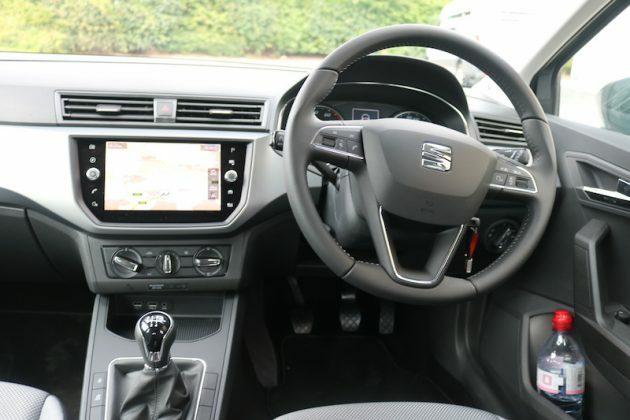 It’s fitted with a 1.0 litre turbocharged petrol which produces a conservative 113bhp with 200Nm of torque. 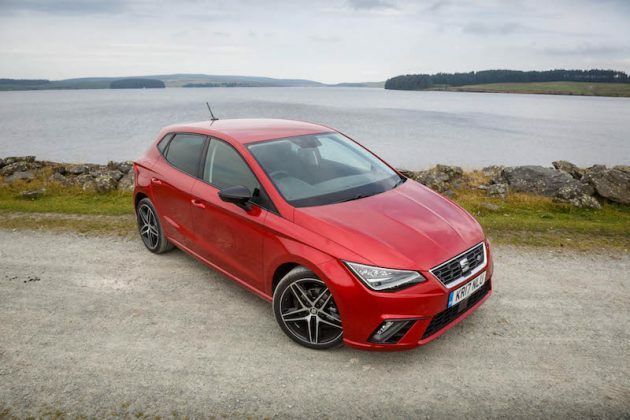 There will be a 1.5 litre petrol coming later in the year, which offers 148bhp, but for the time being the entire SEAT range will only be available with various 1.0 litre petrol units. 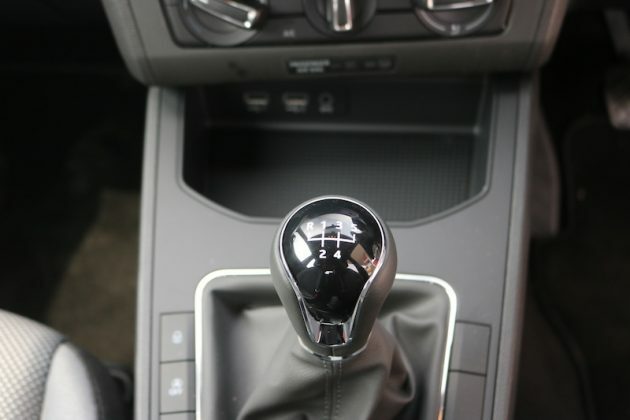 Diesel engines will be made available later down the line, as well as DSG gearboxes. 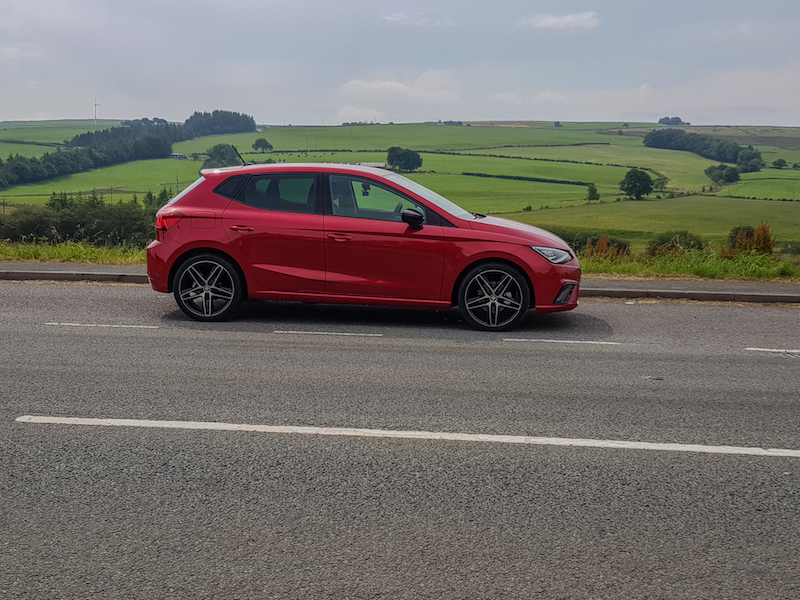 Back to the 1.0 litre in the FR though; it’s mated to a 6-speed manual, which is pretty sweet although the change in fourth felt a little clunky. 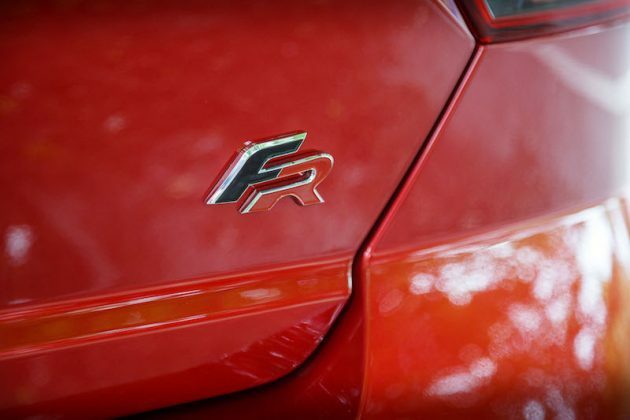 The FR is able to hit 62mph in a rather pedestrian 9.3 seconds and the top speed is 121mph. It is frugal though – the combined figure is 60.1mpg and the CO2 emissions come in at 108g/km. 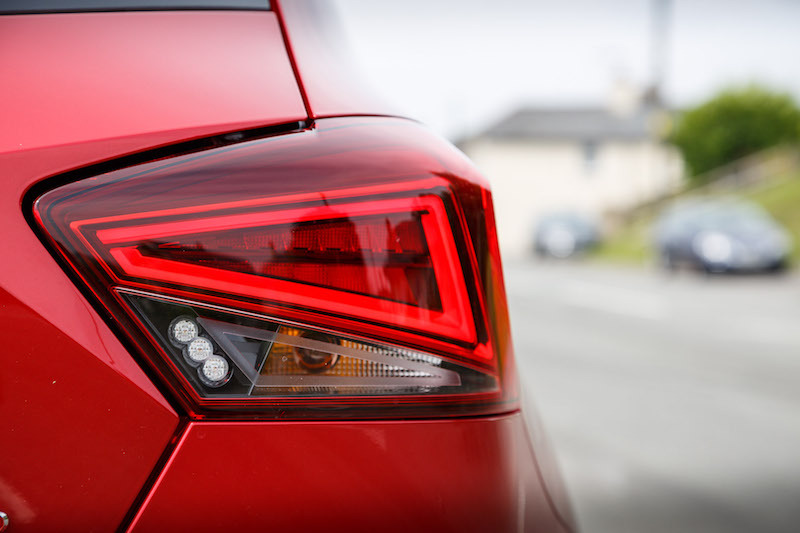 So far, it’s not looking particularly promising for a car that’s meant to be sporty and dynamic. However, that is the car based on paper, on the blacktop it’s a different ball game altogether. 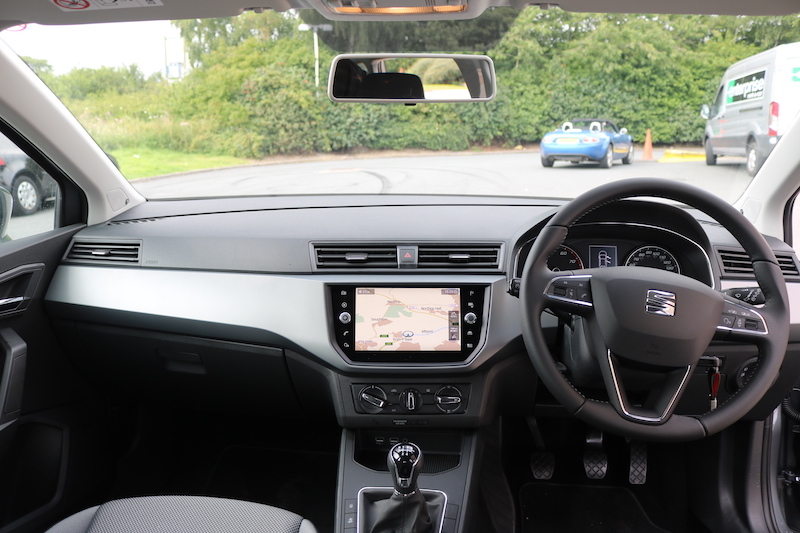 The 1.0 litre turbo unit feels eager to get going and pulls well, making it feel more playful than the figures initially suggest. 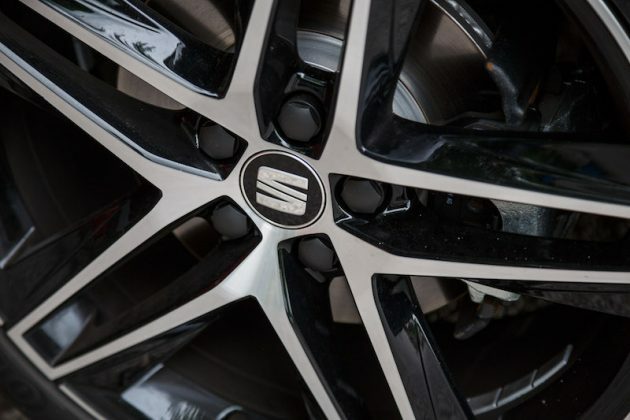 In the corners the car feels dynamic and the grip is of a high standard, giving you the confidence to push the car hard. On the roads on the infamous Evo Triangle the car was hugely good fun to drive and I was surprised by how direct the steering was. I’d like it to be a bit heavier in all honesty but I suppose I’m being a bit harsh – after all, this is not a proper hot hatch. 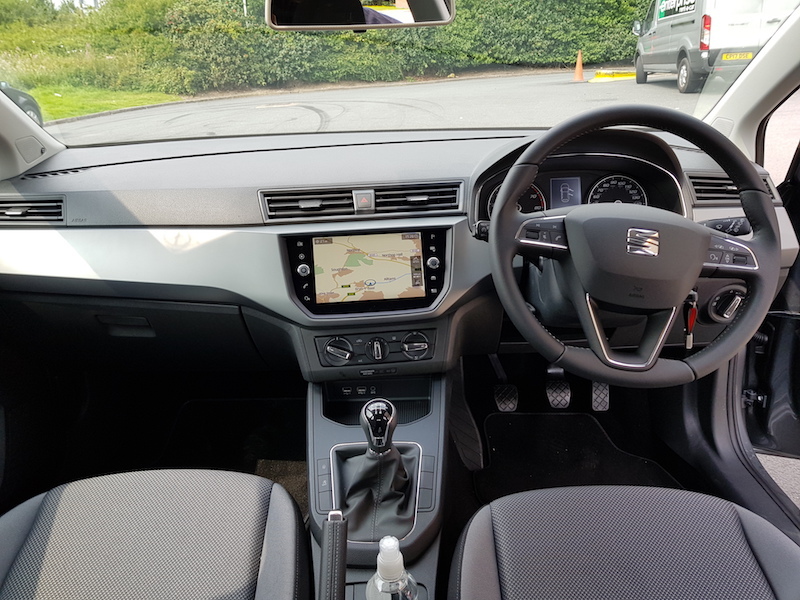 Mind you, the steering is a damn sight heavier than my third generation Ibiza FR, which is one of my main gripes with the car. The ride in mine isn’t fantastic either, but thankfully this is not a problem in the new model. 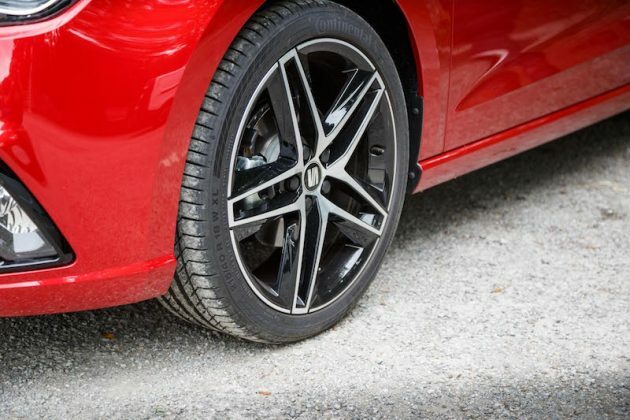 Despite having sports suspension and chunky alloys, the FR rode well and it felt compliant when you want to drive it normally, so it should be fine for everyday use. It soaked up the bumps pretty well and at no point did I find the suspension to crash and thud over any bumps. Four driving modes are on offer in the new FR; Eco, Comfort, Sport and Individual. As you would predict, the majority of the test was done in Sport, which gives an increased throttle response and sharpens the car in the corners. As said previously, the FR is wonderful in the bendy stuff and even when you take liberties with it, the grip is still there. 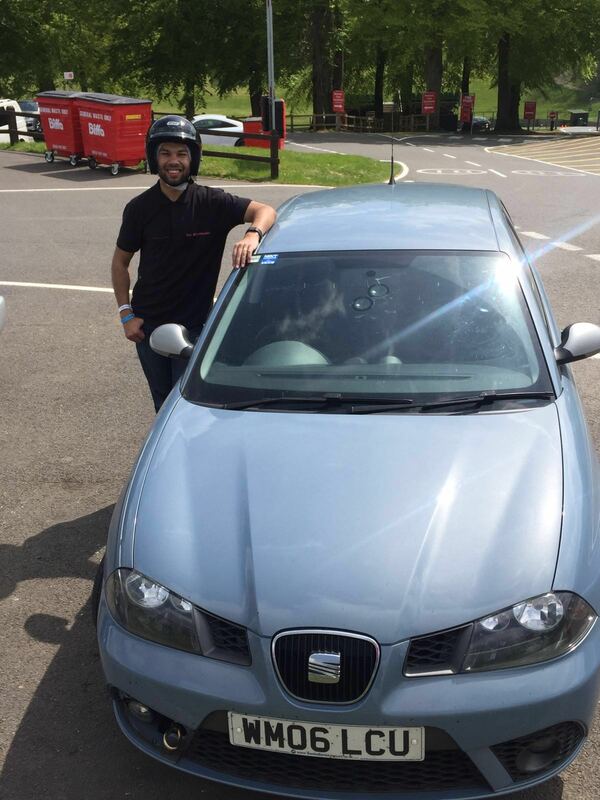 I wasn’t able to induce much understeer on the public roads of Wales, so it’s clearly a good chassis. 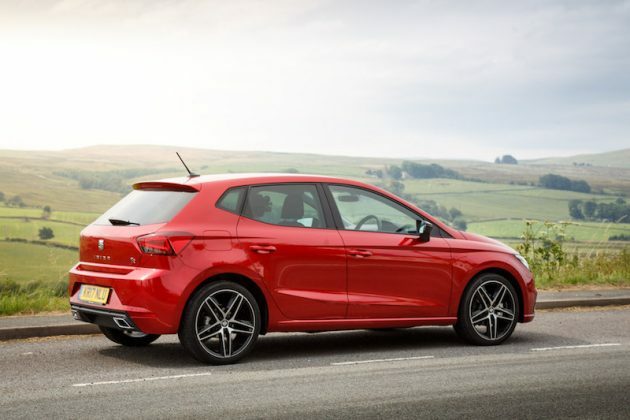 Thanks to its new VAG platform, the new Ibiza is 87mm wider with a 60mm longer wheelbase although the car itself is a little shorter. These changes mean you’ll be able to enjoy 35mm additional legroom in the rear as well as more shoulder and hip space, plus the boot has increased by 63 litres to 355 litres, making it one of the largest in class. 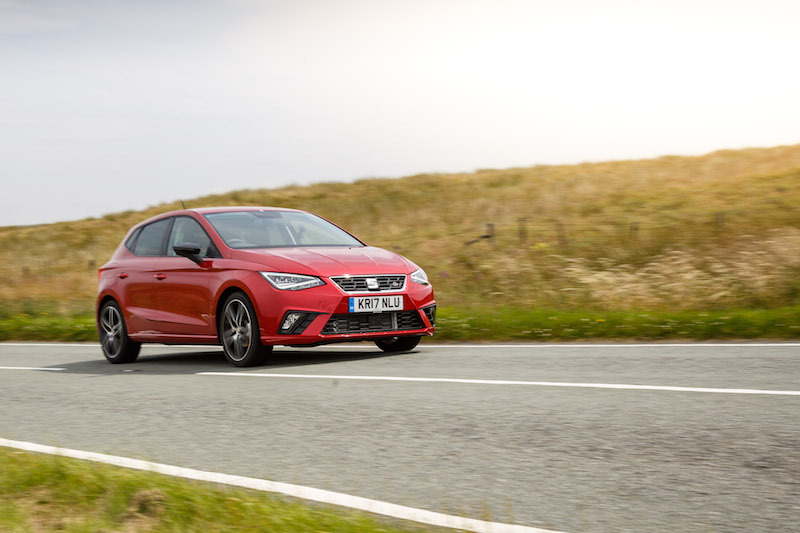 Like a fair few new hatchbacks in the market, the new Ibiza is available in five door only so three door lovers are likely to be disappointed. 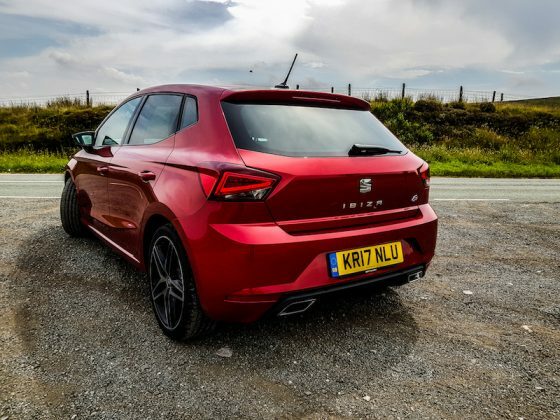 SEAT has not gone to any lengths to disguise the rear door handles, but despite this, the body still looks sleek and clean. 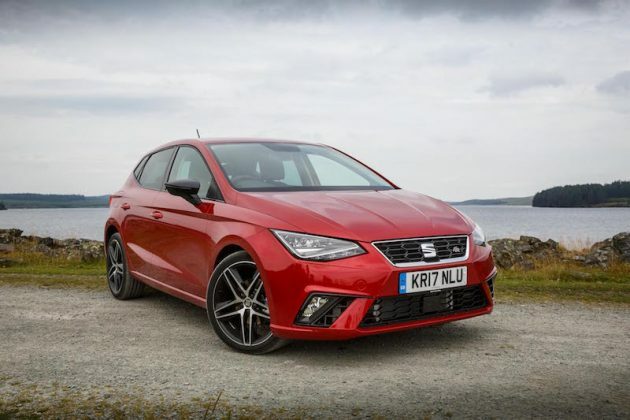 The new Ibiza is five doors only, but I still think it looks great. As well as having a blast in the FR, I also spent some time with the SE model, which sits between the S and FR models. Finished in Monsoon Grey, it’s not quite as striking as the more vibrant Ibizas but it still looks smart and crisp. 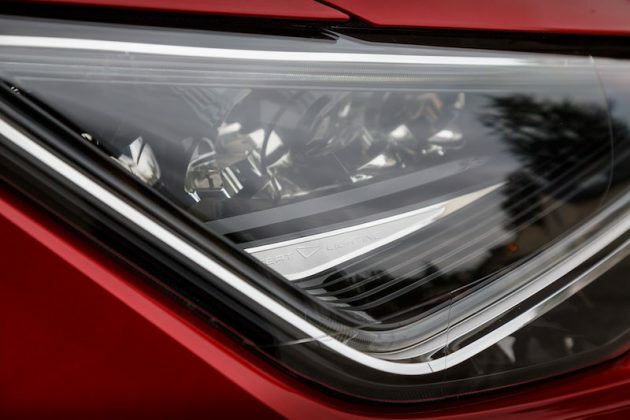 The model tested was fitted with the less powerful 1.0 litre turbocharged unit which produces 94bhp with 175Nm of torque. 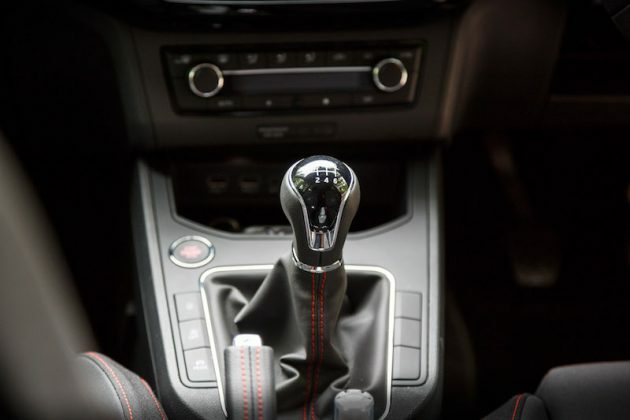 A 5-speed manual is the weapon of choice in this model and although it’s not as crisp as the changes in the FR, it’s still precise enough to enjoy. Having said that, I found 3rd and 5th to be quite close together. 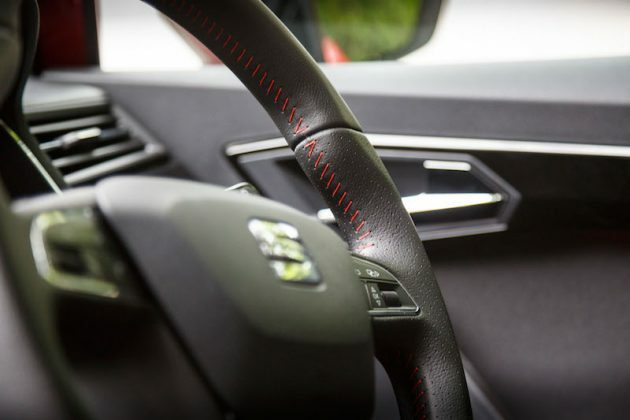 The steering wheel is still trimmed in leather but it feels harder than the wheel found in the FR. 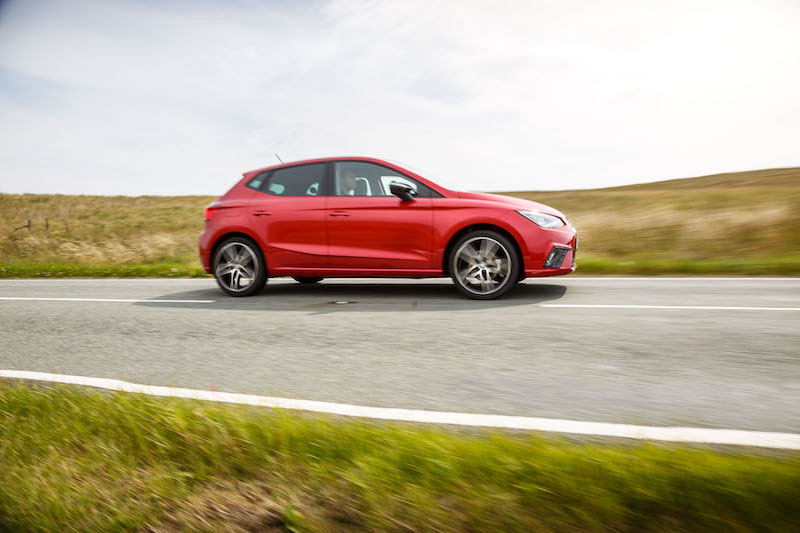 There is no sports suspension and the wheels are smaller than the ones fitted on the FR, so the ride is more supple but that’s not to say it will wallow about like a barge in the corners. It’s still good in the bends, but because of the lack of power you will need to work the gearbox more to keep you on the power. Speaking of which, 0-62 comes in a 10.9 seconds and the top speed is 113mph. 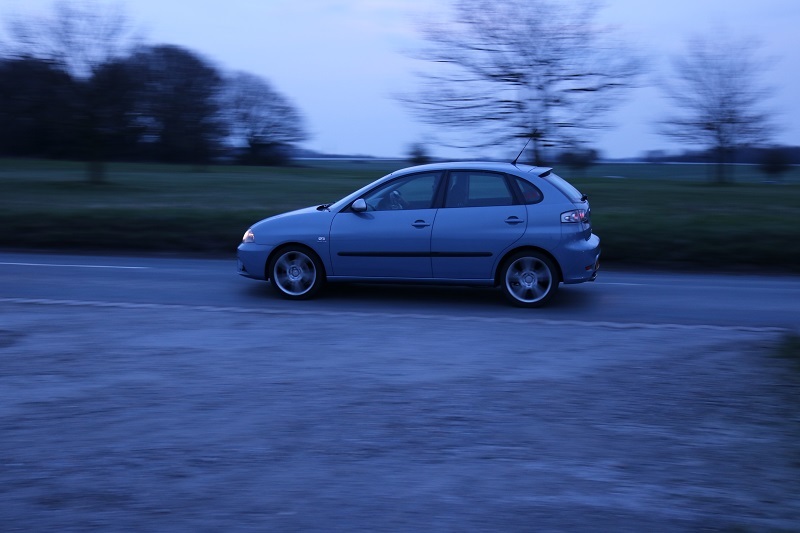 Mpg is exactly the same as the 1.0 litre in the FR, although it emits slightly less CO2 – 106 g/km to be precise. 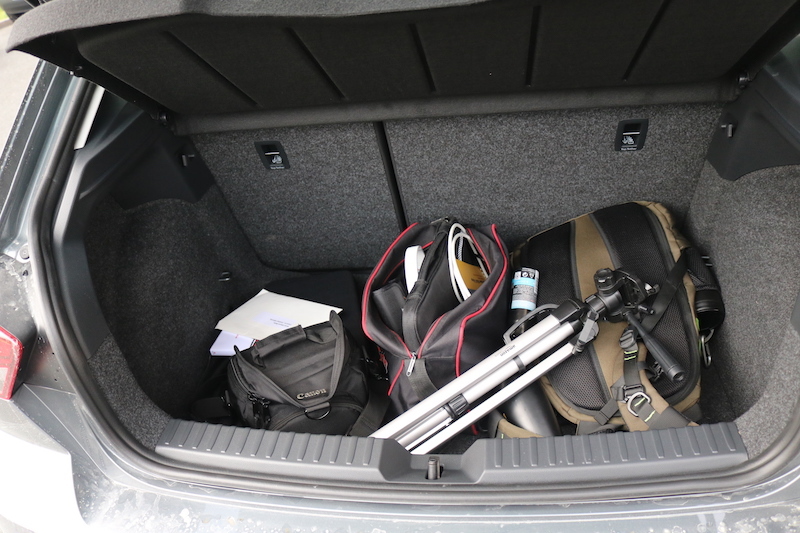 Recently I have driven some great hatchbacks and they all have their own merits. 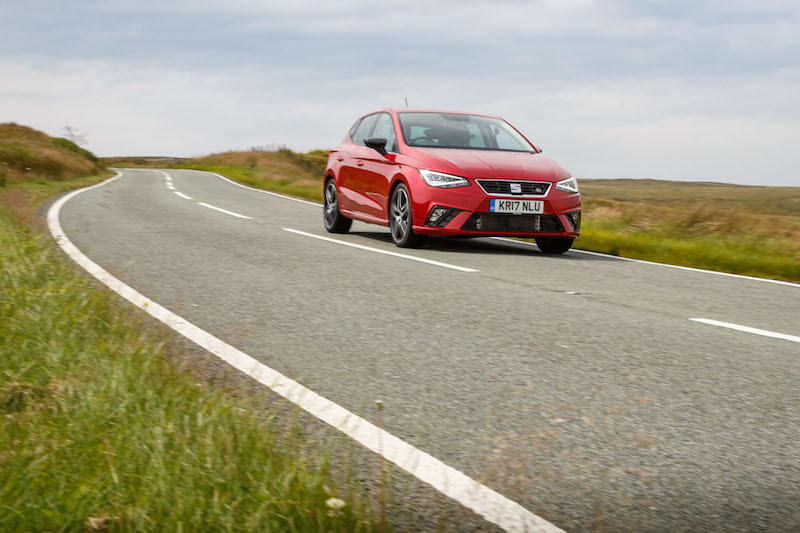 The new Ibiza may just be the best I have driven so far though, and it’s definitely the best looking. 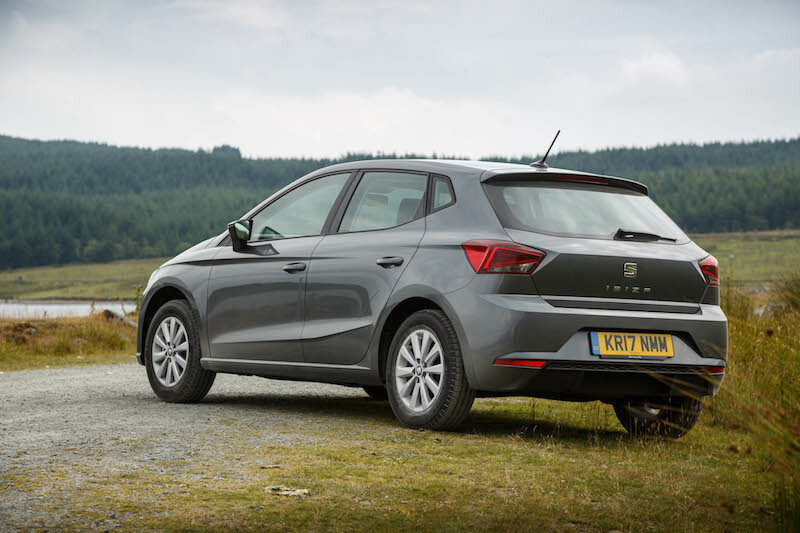 In fact, I believe it to be the best looking supermini at the moment and I’ve come around to the rear styling, which I wasn’t sure of at first. 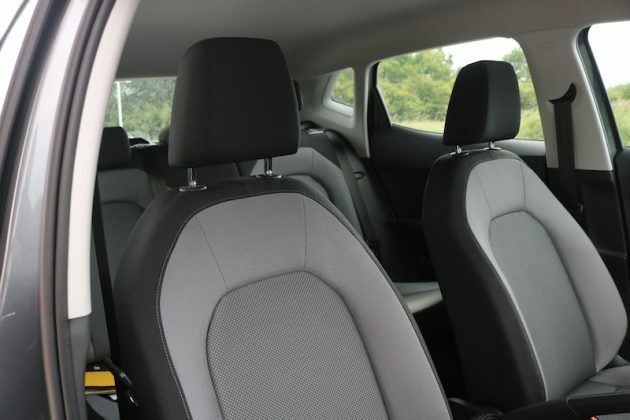 The car is also well-priced and it’s one of the roomiest hatchbacks going. The FR model is engaging to drive and you can still have a good amount of fun with it, even though it has a pint-sized engine. Those looking for more comfort will of course look towards the SE model, although I wouldn’t say the FR is a spine-breaker. The standard kit is by no means bad, although I find it surprising there is no DAB radio in the SE model and the FR has to make do with wind down windows in the rear. 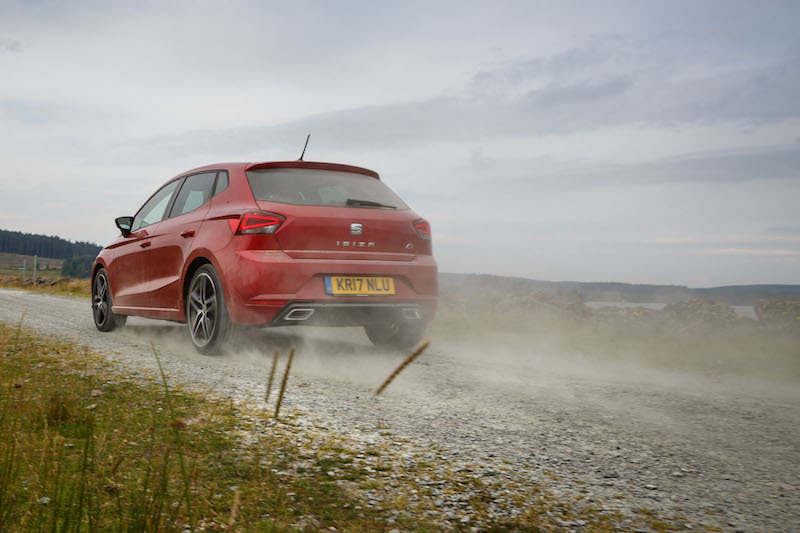 Overall though the new Ibiza is a very good hatchback and dare I say it’s better than a Fiesta? Oh I’m not sure, but there’s not a great deal in it. It drives just as well, plus it looks better and it’s cheaper to buy. 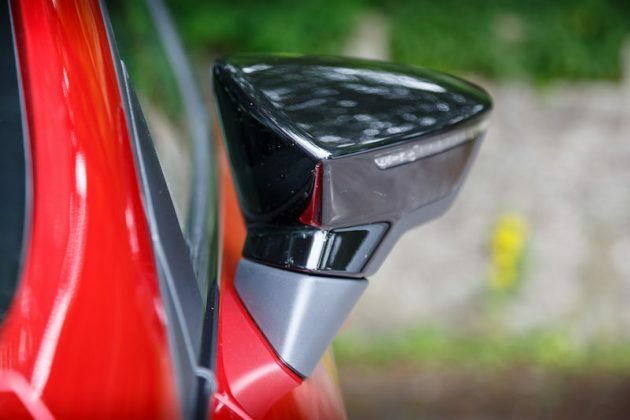 It’s likely the Fiesta will still continue to be a best-seller, but you get a sense it will need to check over its shoulder from now on.